“Инженер, технологийн дээд боловсрол” төслийн хүрээнд Коосэн, Бакалаврын хамтарсан хөтөлбөрт суралцаж буй болон 4 дүгээр сараас эхлэн Япон Улсад суралцах оюутнуудад зориулсан “Зөвлөмж лекц”-ийг Төсөл хэрэгжүүлэх нэгжээс санаачлан зохион байгууллаа. Япон орны онцлог, амьдралын хэв шинж, тус улсад хэрхэн амжилттай суралцах болон хувь хүний хөгжлийн талаар сонирхолтой сэдвүүдийг багтаасан энэхүү “Зөвлөмж лекц”-ээр тус улсад амьдарч, суралцаж төгссөн залуу манлайлагчид өөрсдийн туршлагаас хуваалцсан юм. “Зөвлөмж лекц”-д, Мобиком корпорацийн захирал Хамада Тацуяа “Чиний гэрэлт ирээдүй”, Шинэ монгол дээд сургуулийн захирал Ч.Ганзориг “Гадаад болон дотоодын их сургуульд эрэлттэй мэргэжлийн хөтөлбөрөөр суралцах арга зам, боломж” сэдвээр өөрийн туршлагаас хуваалцсан бол ‘JCI’ байгууллагын сургагч багш Г.Хонгорзул “Хувь хүний хөгжил, төлөвшил, эерэг хандлагыг нэмэгдүүлэх” нь зэрэг сонирхолтой сэдвээр оюутнуудад зориулан илтгэл тавьлаа. Энэхүү “Зөвлөмж лекц”-ийг Японд суралцах чин хүсэлтэй болон суралцахаар явах гэж буй оюутнуудад ямар бэрхшээл, асуудал тулгардаг, түүнийг хэрхэн даван гарах арга зам, ойлголтыг өгөх зорилгоор энэхүү арга хэмжээг зохион байгуулсан. Дашрамд дурдхад, “Инженер, технологийн дээд боловсрол” төслийн хүрээнд Коосэн, Бакалаврын хамтарсан хөтөлбөр болон Магистр, докторт 4 дүгээр сараас эхлэн суралцах 98 оюутан 2019.03.15-ны өдөр Япон Улсад шилжин суралцах “Батламж”-аа гардан авна. On behalf of the “Higher Engineering Education Development” (M-JEED) Project and the ICJPM Organizing Committee, it is our great pleasure to welcome you to the 1st Integrated Conference on Joint Research Program in Mongolia (ICJPM) as well as M-JEED Week organized under M-JEED project. During M-JEED WEEK, we emphasize in promoting the current progress and its contribution of Joint research activities to the Mongolian society and industrial sectors through the 1st ICJPM 2019, which stands for the 1st of Integrated Conference on Joint research Program in Mongolia under M-JEED project, in Ulaanbaatar, Mongolia, from 11 March (Mon) to 12 March (Tue) 2019. 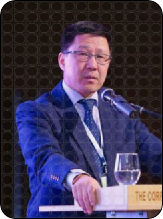 The main purpose of ICJPM 2019 is to establish the base of future international conferences aimed at providing a platform for scientists, young researchers of M-JEED Joint research teams to present, review and discuss the outcomes of collaborative research activities between Mongolia and Japan since the beginning of M-JEED project. The ICJPM Organizing Committee has made every effort to ensure that your stay in Ulaanbaatar is pleasant and we have arranged several events during M-JEED WEEK including Open lectures to the M-JEED students of Kosen and Twinning program in 13 March (Wed), Open Laboratory Day in 14 March (Thu) and M-JEED Scholarship Awarding Ceremony in 15 March (Fri). We are very grateful to all of our distinguished guests and Japanese Visiting scholars and last but not least, to the team leaders of 20 Joint research teams from National University of Mongolia and Mongolian University of Science and Technology for their committed efforts and cooperation given to the success of this conference. The Organizing committee and I wish you a fruitful conference and enjoyable stay in the city of Ulaanbaatar. 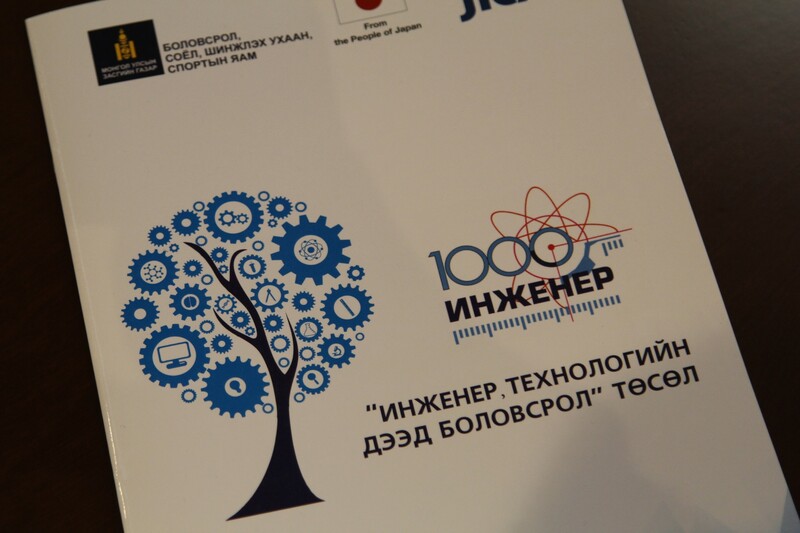 Since 2014, one of the important project of "Higher Engineering and Education" project, which is called by “The thousand engineers” initiated by the Government of Mongolia supported by the Government of Japan, is aimed to expand the joint research of Mongolia and Japanese scientists. In this regard,the joint research project between lecturers of National University of Mongolia and Japanese scientists have presented some results. 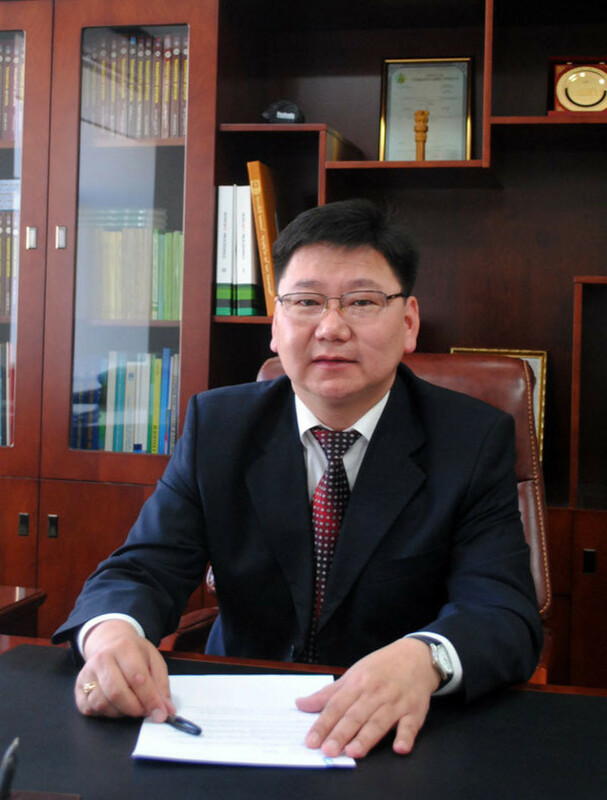 National University of Mongolia's development of strategic plan up to 2024 is aimed at expanding the scope of the study by the world's leading university as well as the scope of the study, to align the level to world standards. The project provides 10 activities of joint research on Biotechnology, Nanotechnology, Renewable Energy, Clean Energy Technology, and Microelectronic and Information and Communication Technology. Since the start of the project, more than 150 lecturers and researchers have been enrolled in Japanese colleges and universities for a master's and doctoral program and short-term training, and over 50 visiting professors and researchers from Japan have been invited. 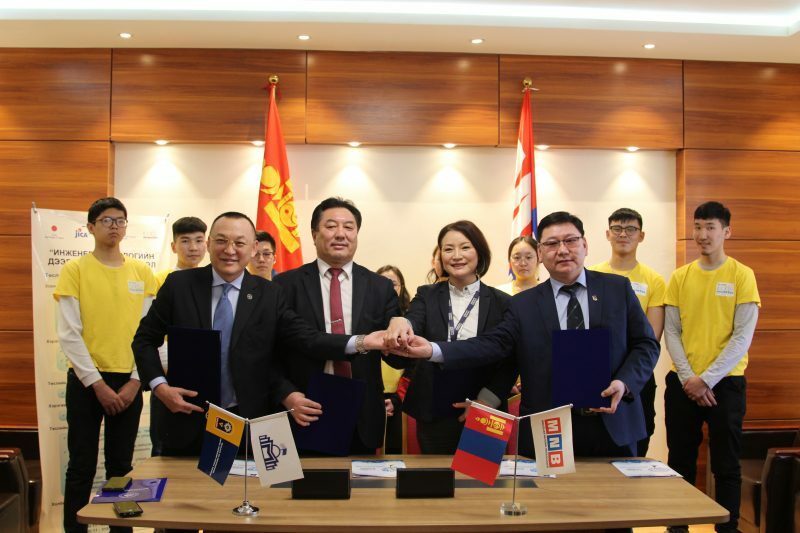 A joint research study is aimed at strengthening collaboration between the National University of Mongolia and the Japanese universities, to present the studies of Mongolian researchers internationally, furthermore a university-based start-up company. 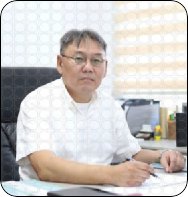 Thus, we are grateful and honored with the “Higher Engineering and Education” project extends the scope of the research works of the National University of Mongoliaas a consequence strengthens the research base and makes a significant contribution to improving the rank and skills of researchers. In accordance with bilateral agreement of Mongolian and Japanese government, Mongolian University of Science and Technology (MUST) has been successfully implementing “Mongolian-Japan Engineering Education Development Project” as partnering with Japanese International Cooperation Agency since 2014. 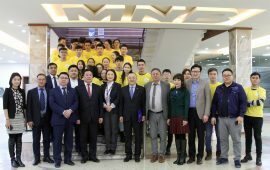 The project aims to train highly-educated and skilled engineers, who can contribute potentially for Mongolian future development and progression of science and technology, provisioning huge demands of engineering and technology employees in industrial sector within a short term, strengthening capacity of teachers and to create more supportive learning and teaching environments at the university. 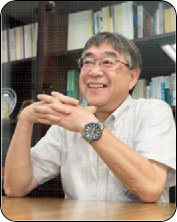 As collaborating with Japanese universities, MUST has done a number of activities including development of Joint Bachelor degree programs, revision of the course curriculum to meet global standards, establishment of research open laboratory, capacity of building of teaching human resources and conducting joint research team with scientists from two countries. Within the scope of MUST research priority areas, 10 joint projects have conducted with high performance. Moreover, many Mongolian young teachers, researchers and students attended in the degree and non-degree programs and Kosen and undergraduate dual degree programs in Japan. Project partners of Ministry of Education, Culture and Sport, Project Implementation Unit of MJEED, NUM and MUST are pleased to present the results of intellectual works and scientific research works, which conducted during the last 4 years. It is important to emphasize that those results have a tremendous influence to the development of science and technology. I would like to wish prosperous successes for future scientific works of Japanese and Mongolian researchers and I hope that all your great works will have good influence for acceleration and sustainability of Mongolian development. 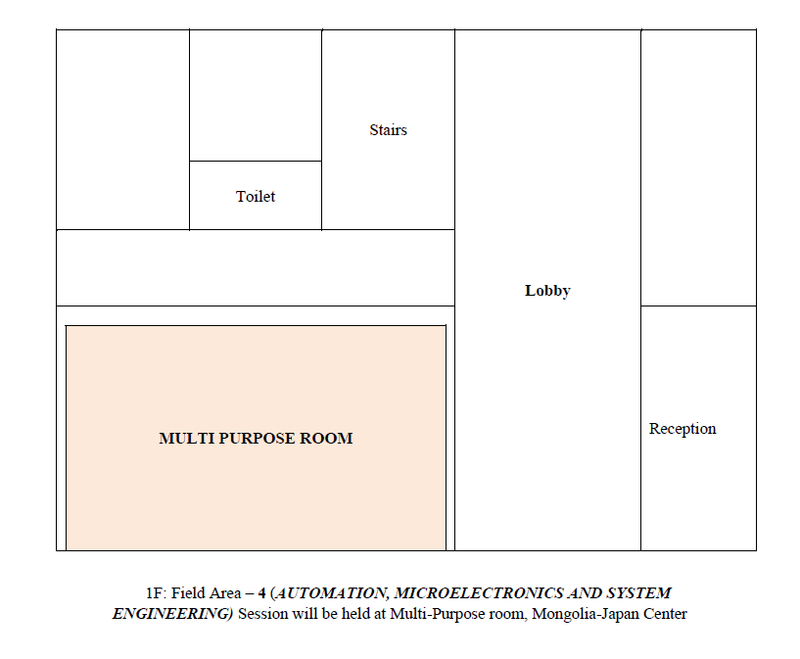 ICJPM 2019 will be held at the Conference Halls in 2F, 5F of Library Building, National University of Mongolia (NUM), Ulaanbaatar city, Mongolia, from 11 to 12 March 2019. Registration will be at the area of East side elevator of the 5th Floor of the Library Building in National University of Mongolia (NUM). 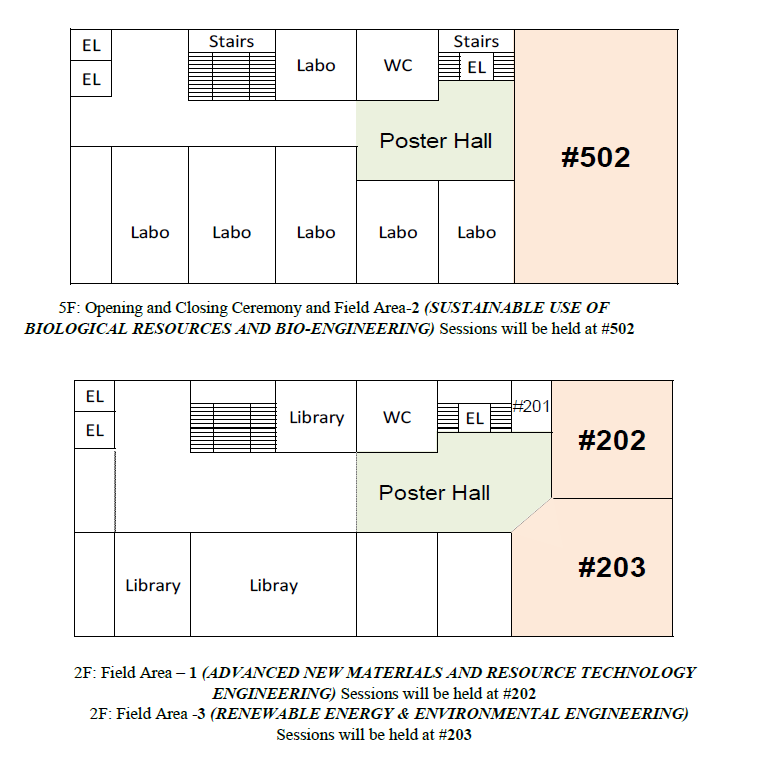 5F: Opening and Closing remarks and Field Area -2 Sessions will be held at #502. English will be the official language used in each Sessions. Only the abstracts will be printed in this conference brochure. All academic papers and posters will be open when author permitted to the interested individuals through Project Implementation Unit (PIU). An ID Card & ID Card Straps will be provided to each participant during registration. The ID Card allows access to sessions and other related events. The ID Card must be worn at all times throughout the conference. Conference registration will take place between 8 AM until 9 AM, March 11 (Monday) on the 5th floor nearby Conference hall Room 502 of the Library Building, National University of Mongolia (NUM). Upon registration, participants will receive a Conference Pack including Conference Programs with other useful items. Further information will be provided at the Registration Desk at 5F. 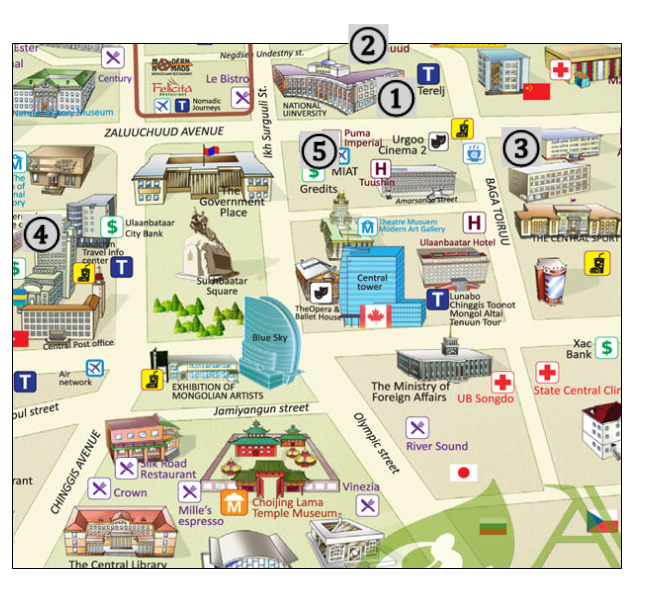 Project Implementation Unit (PIU) arranges the accommodation for all Japanese visiting scholars at Puma Imperial Hotel, located nearby to the Conference Venues. Time zone in Ulaanbaatar, Mongolia (GMT +8), hence, the local time is 1 hour behind Japan time zone. The average temperature in Ulaanbaatar is between 4℃ to 5℃ during day time and -14℃ to -15℃ during night time. The weather in March can be varied, so it is recommendable to be prepared with several types of clothes. No rainfall is forecasted. There are sunny with clouds on 11 March and plenty of sunshine on 12 March. In Mongolia, the power plugs and sockets are of type C and E. The standard voltage is 220 V and the standard frequency is 50 Hz. CLOSING REMARKS ON "SUSTAINABLE USE OF BIOLOGICAL RESOURCES AND BIO-ENGINEERING"
CLOSING REMARKS ON "RENEWABLE ENERGY AND ENVIRONMENTAL ENGINEERING"
CLOSING REMARKS ON "AUTOMATION, MICROELECTRONICS, AND SYSTEM ENGINEERING"
"State Policy on Science and Technology" was adopted by Parliament in 1998 and this is under intensive implementation. The Master Plan for Development of Science and Technology of Mongolia in 2007-2020 approved by the Government Resolution No.2 in 2007 is an integral part of the Comprehensive National Development Strategy of Mongolia. The purpose of the plan is to strengthen the scientific and technological capacity, to develop national innovation system, to improve the economic growth of the country and create a favorable economic and legal environment so that to improve scientific and industrial cooperation with long term strategy aimed at laying the roots of knowledge-based economy. 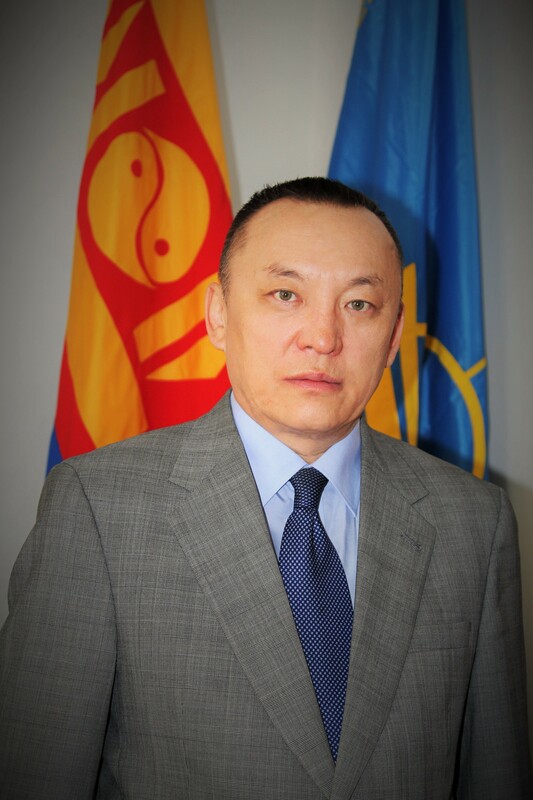 The Resolution 173 of the Government of Mongolia was established to promote the development of Mongolia's science and technology in four areas: human development, quality of life, resource use and protection, intensification of agriculture, high technology and information technology, moreover within this framework 15 core / key / technology research will be developed. Sector’s legal framework is firmly established with necessary promulgating adequate laws, procedures and guidelines. These will be described in the presentation. Moreover, financing and investment context for the science and technology development framework is going to be carefully deliberated in the paper while putting more focus on strategy of attracting foreign direct investment or official development assistances as well as preceding experiences and lessons learned of establishing research centers, laboratories, techno parks, incubators and other types of institutions. Finally, audiences’ attention will be drawn to the fact of that state budget for the scientific researches and its institutional expenses is decreasing gradually, in the other hand, effective system development is emerging for scientific and research outputs. The National University of Mongolia (NUM) is an academic institution that encompasses main scientific branches with programs based on free knowledge or “liberal arts” tradition, engages in regular training and research in natural sciences, economics and fundamental issues of social development with a mission to disseminate knowledge and promote science in the society. The University has currently adopted research, innovation, technology transfer and entrepreneurship related procedures and established the respective structure. The NUM is confronted with a need to realize these goals, to overcome challenges emerging in higher education and reach the next level of development. The present strategic plan is a part of comprehensive documents on development of the NUM. The education policy to be followed by the government states that “education will be developed as a priority social sector, that objective concerns the first Mongolian university as well. In the frame of the policy document the government of Mongolia planned and implemented a number of programs, such as program on Higher Engineering and Education Development project which is to train one thousand engineers in Japan with a loan from the government of Japan. The "Higher Engineering and Education Development" is aimed to expand the joint research of Mongolia and Japanese scientists. In this regard, the joint research between researchers of National University of Mongolia and Japanese scientists has presented some results. Within four different areas among to 10 joint research teams have been participated in this project. The framework of the project over a five-year, more than 100 researchers are expected to be involved in the capacity building of the university's human resources while increasing the number of international and local research studies and papers. Furthermore, the results of the research will be introduced into the industrial areas and, the fundament for a university-based start-up company. 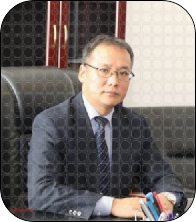 Overall, the project of "Higher Engineering and Education Development" is valuable for implementation of the “Research University Program” by the government of Mongolia put forward an objective of bringing research based-University in the top 100 ranks of leading universities on the Asian continent. Mongolian University of Science and Technology (MUST) strives to become a globally recognized research-based University in Science and Technology in Mongolia and to be acknowledged as one of the leading universities in Asia. With this purpose, we openly collaborate with many international universities and organizations, one of which is the Mongolia-Japan Higher Engineering Education Development, “MJEED” project. 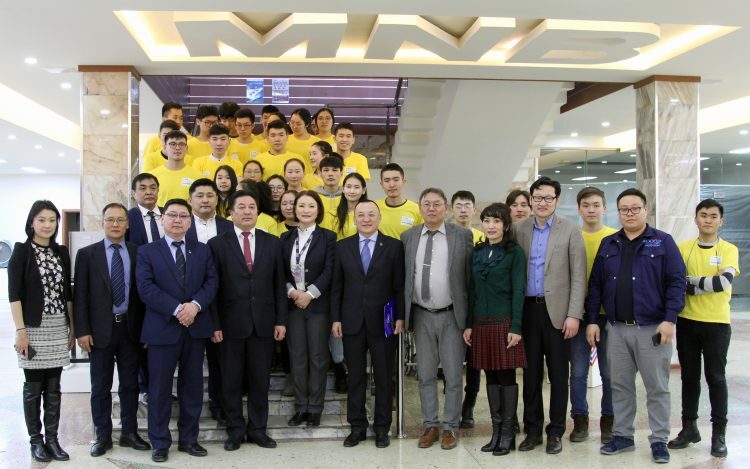 Mongolia-Japan Higher Engineering Education Development, “MJEED”, project was first launched in 2014 through a joint agreement between the government of Japan and government of Mongolia for 9 consecutive years with the main goal to train 1000 Mongolian engineers in Japan. The project also aims to improve the quality of engineering and technology curriculum by international standards, to build the capacity of the lecturers and researchers to educate highly educated and skilled engineers and technical employees, and to create a more comfortable and collaborative environment for training and research activities at MUST following our research priorities in New Materials, Resource Technology Engineering, Energy and Environmental Engineering, Automation and System Engineering, and Bio-Engineering (food, medical products, and bio-printing) sectors in most progressive ways. For the last 4 years, 145 researchers have attended in degree and non-degree programs, 130 students have studied in the Kosen and Twinning programs in Japan, and over 100 Visiting Scholars from Japan have worked at MUST to provide technical assistance to professionals both in the long and short terms. As a result of our cooperation and joint research works, 111 scientific international research papers, 100 scientific national research papers, 7 utility models, 1 new technology, and 1 standard were developed and disseminated for further professional use. Moreover, 8 Memorandums of Understanding were signed with 8 Japanese universities. 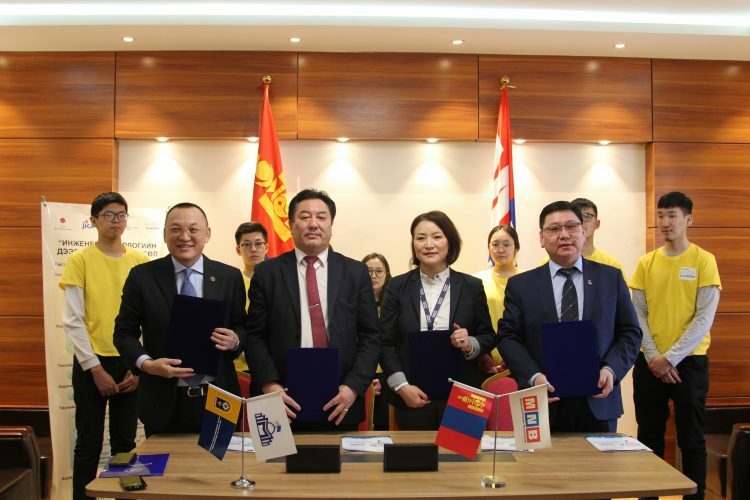 In the future, as having benefitted from the “MJEED” project, MUST plans to produce more fruitful results in educating high-quality human resources in engineering and technology sectors and foster high-quality research and training environments in Mongolia. Furthermore, we believe that the collaborative implementation of this project will contribute to the overall holistic development of Mongolian scientific and technological advances and upscale Mongolian and Japanese mutual and productive cooperation. Монгол Улсын Засгийн газраас санаачилан Япон Улсын Засгийн газрын хөнгөлөлттэй зээлээр 2014-2024 онд хэрэгжих “Инженер, технологийн дээд боловсрол” буюу олон нийтийн дунд “Мянган инженер” хэмээн танил болсон хөтөлбөр нь Монгол улсын засгийн газраас баталсан “Судалгаанд суурилсан их сургуулийн хөтөлбөр”-ийн хэрэгжилт болон МУИС-ийг судалгааны их сургууль болох улмаар Азийн шилдэг 100 их сургуулийн эгнээнд нэгдэн орох стратегийн зорилгыг биелүүлэхэд үнэтэй хувь нэмэр оруулж байгаа төдийгүй Монгол улсын шинжлэх ухааны хөгжилд түүхэн үүрэг гүйцэтгэх ач холбогдолтой юм. МУИС нь “Инженер, технологийн дээд боловсрол” хөтөлбөрийн хүрээнд судалгааны тэргүүлэх дөрвөн чиглэлийн 10 хамтарсан судалгааны төслийг амжилттай хэрэгжүүлж байгаа бөгөөд төсөл хэрэгжиж эхэлснээс хойших 5 жилийн хугацаанд их сургуулиас Япон улсын шилдэг их дээд сургуулиудад зэргийн сургалтанд 32, зэргийн бус сургалтанд 113 багш судлаач тус тус хамрагдахын зэрэгцээ, олон улсын болон дотоодын эрдэм шинжилгээний өгүүлэл-70, олон улсын болон дотоодын хурлын илтгэл-153, ашигтай загвар-3, шинэ технологи-4, патент-7, монограф-1, стандарт-3, мэдээллийн сан-4, инновацийн бүтээгдэхүүн-2, гарааны компани-2 шинээр төрсөн зэрэг үр дүнгүүд гарч байна. Ийнхүү МУИС нь судалгааны их сургууль болох стратегийн зорилгын хүрээнд МУИС-ийн эрдэмтэн судлаачдын Японы шилдэг их дээд сургуулиудын эрдэмтэн, судлаачидтай хамтран хэрэгжүүлж буй 10 төслийн судалгааны ажлын үр дүнг нийгэм, олон нийтэд түгээн дэлгэрүүлэх зорилго бүхий шинжлэх ухаан танин мэдэхүйн цуврал 10 нэвтрүүлэг бүтээх төслийг МҮОНТВ-тэй хамтран хэрэгжүүлэх хамтын ажиллагааны гэрээнд гарын үсэг зурлаа. Энэхүү нэвтрүүлгийг бүтээх МҮОНТВ-ийн Шинжлэх ухаан, танин мэдэхүйн албаны уран бүтээлийн баг хамт олон нь 2015-2017 онд МУИС-ийн “Эрдмийн хэт” шинжлэх ухаан танин мэдэхүйн цуврал 26 нэвтрүүлгийг амжилттай бүтээж МУИС-ийн 75 жилийн ойн баяраар МУИС-ийн “Шилдэг түнш”-ээр өргөмжлөгдсөн бөгөөд тус цуврал нэвтрүүлгийг бүтээхэд хамтран ажиллаж буй МҮОНТВ, БСШУСЯ-ны харьяа ИТДБ төсөл хэрэгжүүлэх нэгж, ШУТИС-ийн баг хамт олонд МУИС-ийн нийт эрдмийн хамт олны өмнөөс амжилт хүсье. Монгол Улсын Засгийн газар, Японы Олон Улсын Хамтын Ажиллагааны Байгууллага /ЖАЙКА/-ын хооронд 2014 онд байгуулсан иенийн хөнгөлөлттэй зээлийн хэлэлцээрийн дагуу Боловсрол, соёл, шинжлэх ухаан, спортын яамнаас хэрэгжүүлж буй “Инженер, технологийн дээд боловсрол” төсөл 5 дахь жилтэйгээ золгож байна. Өндөр мэдлэг, ур чадвар бүхий инженер, технологийн мэргэжилтэн бэлтгэх, багшлах хүний нөөцийг бэхжүүлэх, сургалтын орчин, чанарыг сайжруулах зорилготой тус төсөл Коосэн, Бакалаврын хамтарсан хөтөлбөрүүд, Хамтарсан судалгаа гэсэн үндсэн 3 чиглэлээр хэрэгжиж байна. Энэхүү төслийн хүрээнд Монгол Улсын Их Сургууль, Шинжлэх Ухаан, Технологийн Их Сургуулийн инженер, технологи, байгалийн ухааны салбарын багшлах хүний нөөцийг бэлтгэх, чадавхыг сайжруулах зорилготой Хамтарсан судалгааны 20 баг Япон Улсын их сургуулиудтай судалгааны тэргүүлэх 8 чиглэлээр судалгааны ажлыг хамтран хийж, туршлага солилцон ажиллаж байна. БСШУСЯ, Төсөл хэрэгжүүлэх нэгж, МУИС, ШУТИС хамтран Монгол, Японы их сургуулиудын судлаачдын хамтарсан судалгааны ач холбогдлыг нийгэмд таниулах, хамтын ажиллагааг бэхжүүлэх, харилцан туршлага солилцох зорилгоор “ХАМТАРСАН СУДАЛГАА-ШИНЭ ТЕХНОЛОГИ” сэдэвт Монгол-Япон судлаачдын нэгдсэн хурлыг 2019 оны 03 дугаар сарын 11-12-ны өдрүүдэд Улаанбаатар хотноо зохион байгуулна. Тус хурал нь нэгдсэн хуралдаан, 4 салбар хуралдаан болон дүгнэлт гэсэн үндсэн 3 хэсгээс бүрдэх бөгөөд шинжлэх ухаан, бизнесийн байгууллагууд, ажил олгогч аж ахуйн нэгжийн төлөөлөл, Япон Улсын 40 гаруй доктор, профессор, судлаачид ирж оролцоно. Монгол Улсын Засгийн газрын мөрийн хөтөлбөрт туссан судалгааны их сургуулийг бий болгох ажлын хүрээнд Монгол Улсын Их Сургууль, Шинжлэх Ухаан, Технологийн Их Сургуулиуд Японы их сургуулиудын хооронд Хамтарсан судалгааг хөгжүүлснээр багш, судлаачдын судалгаа хийх арга барил улам сайжрах төдийгүй цаашлаад их сургуулийн дэргэд гарааны компани байгуулах, Японы сургалт судалгааны ажлын туршлагаас суралцаж, хэрэгжүүлэх давуу талтай юм. Дашрамд дурьдахад, Тус төсөл хэрэгжих явцдаа 1000 хүнийг Япон Улсад инженер, технологийн чиглэлээр сургахаар төлөвлөснөөс өнөөдрийн байдлаар 400 гаруй багш, судлаач, оюутнууд Коосэн болон Бакалаврын хамтарсан хөтөлбөр, Хамтарсан судалгаа /зэргийн, зэргийн бус/-ны хөтөлбөрүүдэд хамрагдан суралцаж байна. 2018 онд Япон улсад суралцахаар болсон Бакалаврын хамтарсан хөтөлбөрийн 56, магистр докторын хөтөлбөрийн 10 багш судлаач, Коосэн хөтөлбөрийн 30 оюутан нийт 96 оюутан, багш, судлаач нар Боловсрол, соёл, шинжлэх ухаан, спортын сайд Ц.Цогзолмаагаас батламжаа өнөөдөр гардан авлаа. Монгол Улсад өндөр мэдлэг, ур чадвар бүхий инженер, технологийн мэргэжилтэн бэлтгэх, инженерийн боловсролын өрсөлдөх чадварыг дээшлүүлэх, багшлах хүний нөөцийг бэхжүүлэх, сургалтын орчныг шинэчлэх, чанарыг сайжруулах үүднээс Япон Улсад 1000-н инженер сургаж бэлтгэх зорилго бүхий “Инженер, технологийн дээд боловсрол” төсөл 4 дэх жилдээ амжилттай хэрэгжиж байна. Монгол улсын их сургууль болон Шинжлэх ухаан, технологийн их сургуулийн тэргүүлэх чиглэлийн хамтарсан судалгаанд оролцдог тухайн их сургуулийн багш, судлаач нийт 10 хүн энэ удаад магистр, докторын сургалтын хөтөлбөрийн шалгуурыг хангаж Япон улсад суралцахаар болоод байна. Эдгээр хүмүүс нь Японы талын их, дээд сургууль, БСШУСЯ, болон ЖАЙКА байгууллагын зүгээс тавигдсан шаардлага, Япон-Англи хэлний мэдлэг зэргийг нь харгалзан сонгон шалгаруулсан болно. Бакалаврын хамтарсан хөтөлбөрийн эхний элсэлтийн оюутнууд 2017 оны 11 сард Японы консорциумын 10-н их сургууль болох Нагаока технологийн их сургууль, Кюүшү их сургууль, Тоёохаши технологийн их сургууль, Киото технологийн их сургууль, Нагоя технологийн их сургууль, Китами технологийн их сургууль, Кумамото их сургууль, Кюүшү технологийн дээд сургууль, Вакаяма их сургууль, Ямагүчи их сургуулийн элсэлтийн шалгалтыг өгсөн билээ. Тус шалгалтад тэнцсэн 56 оюутан барилга, хүрээлэн буй орчны инженер, архитектур болон механик инженер мэргэжлээр Японы улсын их сургуулийн 3-р курст шилжин суралцах юм. Мөн “Инженер, технологийн дээд боловсрол” төслийн Коосэн хөтөлбөрийн хүрээнд Япон улсын Үндэсний технологийн коллеж/Коосэн-ий шалгалтад тэнцэж суралцах эрхээ авсан 30 оюутан Япон улсын 29 Коосэн сургуулийн 3 дугаар курст шилжин суралцаж нарийн мэргэжлийн техникийн мэргэжилтэн болж төгсөх юм. 2018 онд Япон улсад суралцахаар болсон Бакалаврын хамтарсан хөтөлбөрийн 56, магистр докторын хөтөлбөрийн 10 багш судлаач, Коосэн хөтөлбөрийн 30-н оюутан нийт 96-н оюутан, багш, судлаач нар Боловсрол, соёл, шинжлэх ухаан, спортын сайд Ц.Цогзолмаагаас 2018 оны 03 сарын 14-ний өдөр батламжаа гардан авлаа. Уг ёслолын ажиллагаанд БСШУСЯ, Японы элчин сайдын яам, Японы олон улсын хамтын ажиллагааны байгууллага, МУИС, ШУТИС-ийн төлөөлөл оролцов. Төсөл хэрэгжиж эхэлснээс хойш буюу 2014 оноос 2017 он хүртэлх хугацаанд нийт 273 хүн Япон улсад суралцаж буй бол 2018 онд 96 хүн ийнхүү батламжаа гардан авч нийт 371 багш, судлаач, оюутан төсөлд хамрагдаад байгаа юм. Боловсрол, Соёл, шинжлэх ухаан, спортын яамнаас хэрэгжүүлж буй “Инженер, технологийн дээд боловсрол” буюу 1000 инженер төсөл Шинжлэх ухаан, технологийн их сургууль дээр амжилттай хэрэгжиж байна.